Did you see what they've already done with our good ol' Control Panel in Creators Update? Yea, I hardly use the Control Panel anymore. Before commenting you shall perhaps actually try to use Control Panel whilst adding a new user account, changing some personalization and taskbar settings, etc. And what about new settings which are only added to the Settings app? The user constantly gets redirected from Control Panel to Settings and vice versa as, apparently, even Settings don't implement all of the required settings. What a mess. Microsoft have already had a couple of years to do the required changes. Just updated windows to creator update and aero glass still works. Disabled both atlas/reflection image for the moment - it reduces glitches. Blur set to 4 (in previous update was 7). Sometimes "blur" effect disappear. There is some new atlas/modernframe version to test? 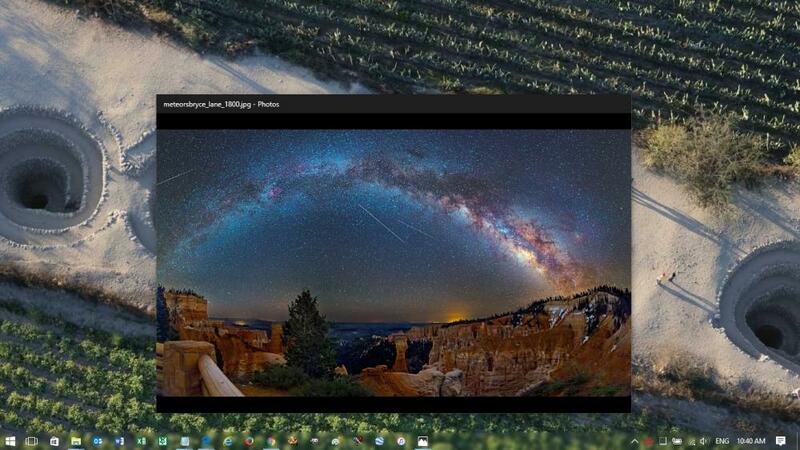 Windows 10 (version 15063.540) Photos App: Erratic behavior with the transparent taskbar disappearing and reappearing unpredictably. When it disappears the min/max/close window buttons cannot be selected. @bigmuscle your download site says the 1.5 versions are only for these and those win10 builds. isnt it a bit inappropeiate to call these versions "Aeroglass for Win8+"? Some modern apps (People, Calculator, Alarm & Clock etc) have transparency by default (project neon) and aero glass is affecting these apps as well. The graphical artifacts are less noticeable when blur effect radius is higher. Interesting, for my system the People & Calculator apps are now mat black with zero transparency and are not affected by the blur effect radius. I can only imagine some folks are talking about released Windows versions while others are talking about pre-release Windows. Aero Glass only supports released versions of Windows. People of course TRY it with the insider versions, with varying consequences.